After a superb first season, and then a damn near flawless second, the third season of Fargo will have some awfully big shoes to fill. 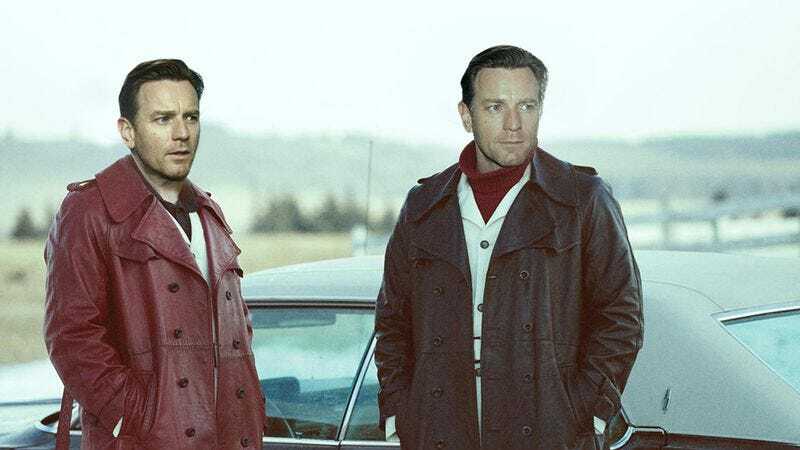 And now, we’ve got word those large boots will be filled by Ewan McGregor. Deadline reports the Scottish actor will be trading in his native “ayes” and “naes” for some sturdy Minnesotan “yahs” and “oh nos.” This is the first major casting news for the upcoming season, and there’s no word yet on whether McGregor will be playing one of the people who kills everyone, one of the people who dies, or one of the melancholy innocents who then gets to monologue about the hard world we live in. But there’s plenty of other information about who he’ll be playing—or rather, the two starring roles he’ll tackle. Apparently, McGregor is set to play brothers, Emmit and Ray Stussy, for a storyline much closer to the present day than even season one’s 2006-set dramatics. Emmit is described as “The Parking Lot King of Minnesota,” a handsome and successful real-estate mogul and family man. Ray, by contrast, is the younger brother, and “a cautionary tale. Balding and pot-bellied, Ray is the kind of guy who peaked in high school. Now a parole officer, Ray has a huge chip on his shoulder about the hand he’s been dealt, and he blames his brother, Emmit, for his misfortunes.” Presumably, they’ll have an honest conversation in the first episode and resolve everything peaceably, with the rest of the episodes playing out in relative quiet, as is the standard for this series.